For somebody who seemingly burst on to the music scene in 2011 with his ubiquitous hit “Somebody That I Used To Know”, Wouter De Backer, better known by his stage name Gotye, is in fact a music veteran. The Belgian born, Australian raised artist has produced 3 full length and one EP albums since his debut nearly a decade ago. Somehow magic struck with the second single off his third album, “Somebody That I Used To Know” has become his most successful song to date, topping the charts in 23 countries. 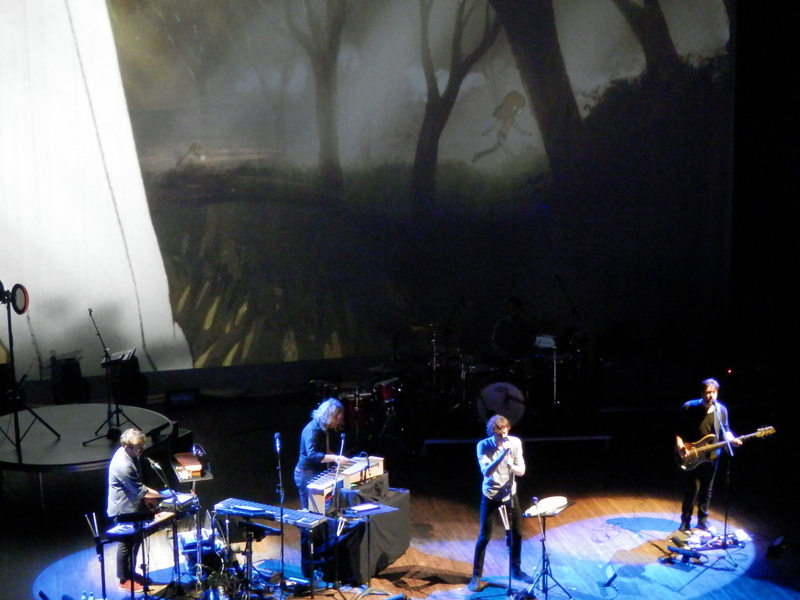 On the back of this success, Gotye made his second visit to Vancouver this year, having played The Vogue Theatre in Spring 2012. This show, originally scheduled for the vast outdoor venue at Deer Lake Park was moved downtown to the smaller Orpheum Theatre. I feel, the intimate theatre setting is better suited for the lush instrumental and anthemic vocals of his unique sound. You can never quite define the sound of Gotye’s music, one moment it’s avant garde instrumentals, using a vast array of electronic gadgetry to produce a symphony of sound, then the next it’s a haunting vocal arrangement that could suit a choral ensemble. Throw in a mix a few upbeat pop tracks with a wall of amazingly entertaining and elaborate video montages and animations behind the band and you’ve got a show that has something for everyone. That seems to be a winning format for Gotye as his audience is demographically vast. By now there’s very few people who haven’t heard “Somebody That I Used To Know” and it’s a some that has a wide appeal. The audience at this show was all ages, everyone from children to grandparents seemed to equally enjoy the show. 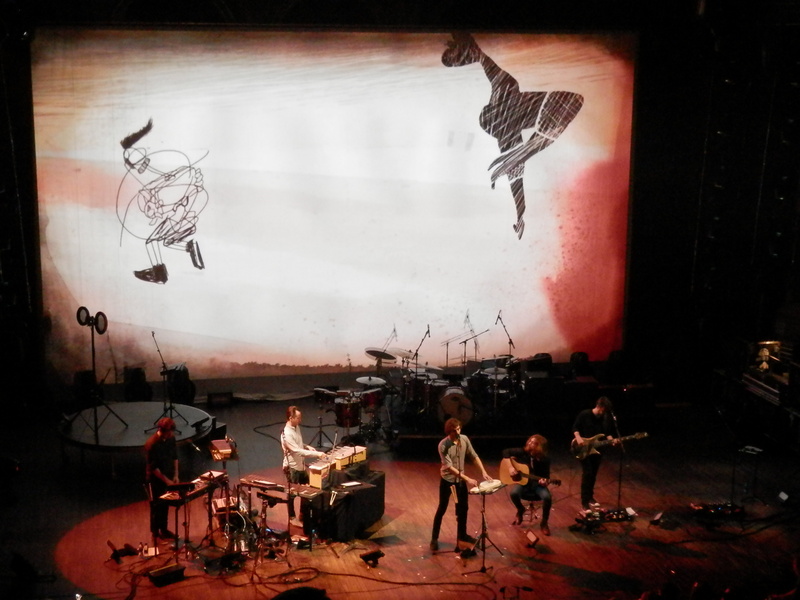 Besides the animated backdrop, Gotye himself is a very animated performer running around the stage from instrument to instrument as he and his band create huge sounds out of the tap of a button, sampling their live instruments and bringing in recorded samples of others when needed. Even with all the electronic wizardry the show still strikes a good balance between computer and live band. 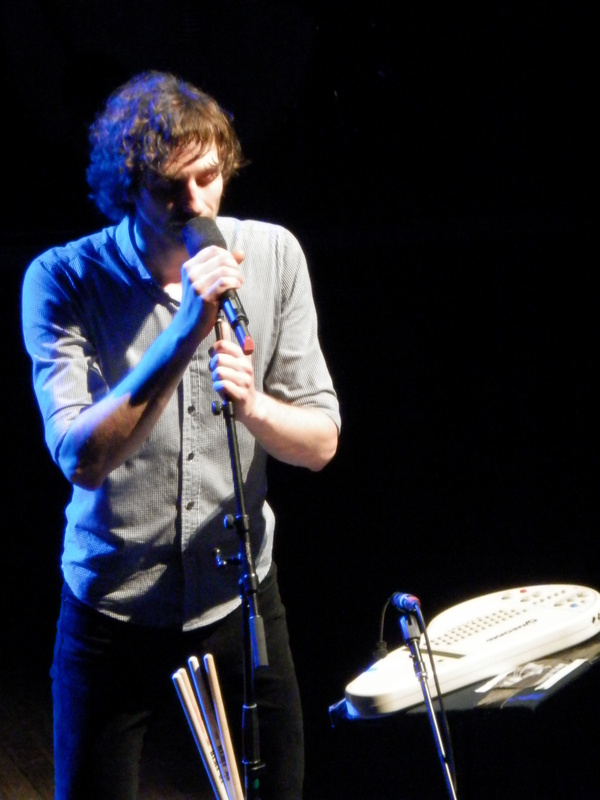 Over the 90 minute set, Gotye engages with the audience and the audience definitely engaged with him, exclaiming their love and shouting requests then singing along to the songs they knew. 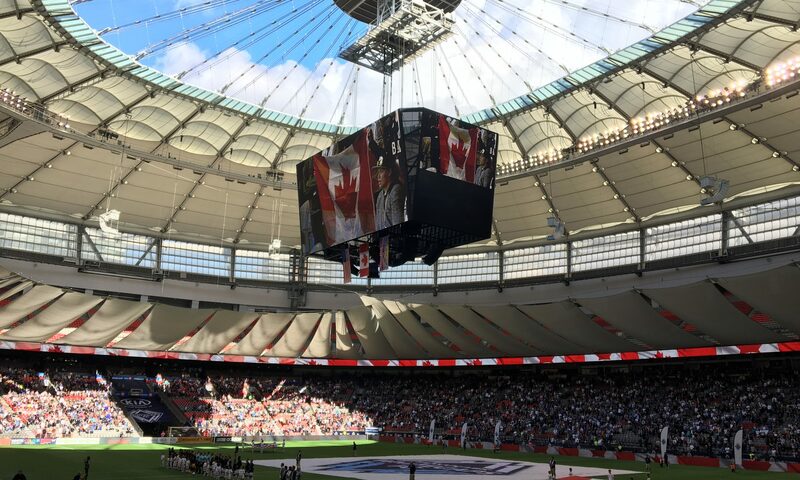 Of course the biggest sing-along was for his signature “Somebody…”. Then ending the show on a super upbeat demonstration of their instrumental prowess as he and the band whipped through almost all of the tools available for an instumental number leading to his recent single, “I Feel Better” which, in contrast to the haunting “Somebody…”, is a throwback to the early 90s, up tempo pop track. Leaving everyone with a catchy, feel-good tune in their heads as they left the theatre.